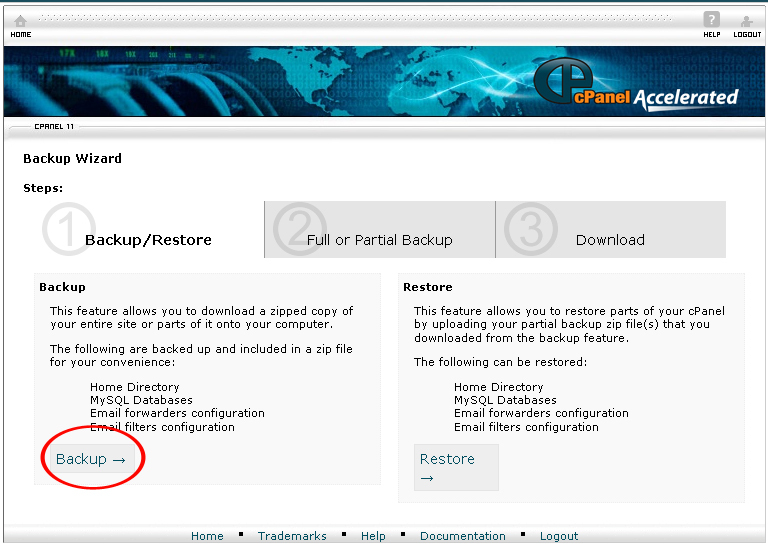 The Backup Wizard will guide you step by step to backup your entire site or restore a website from the last backup saved. 1. 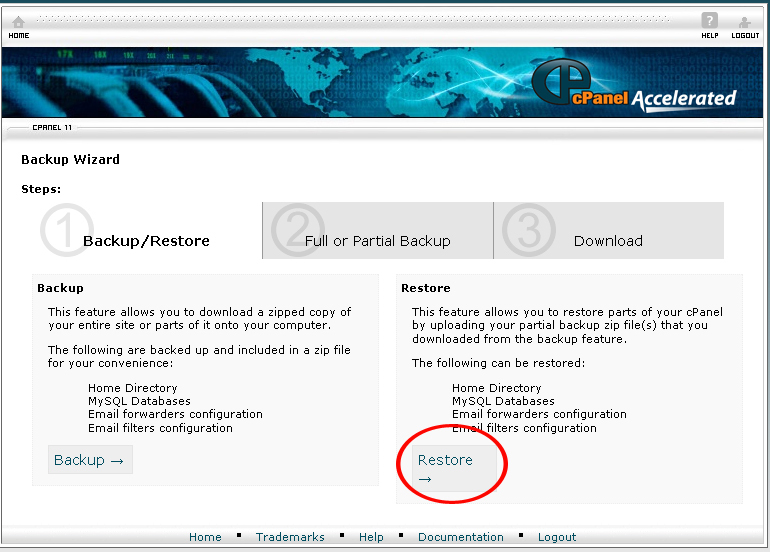 On the homepage of your cPanel, click the Backup Wizard icon under Files. 4. Select Home Directory from the Backup Destination drop down menu. 5. Enter the email address where you will be sent a notification once the backup process is completed. 6. 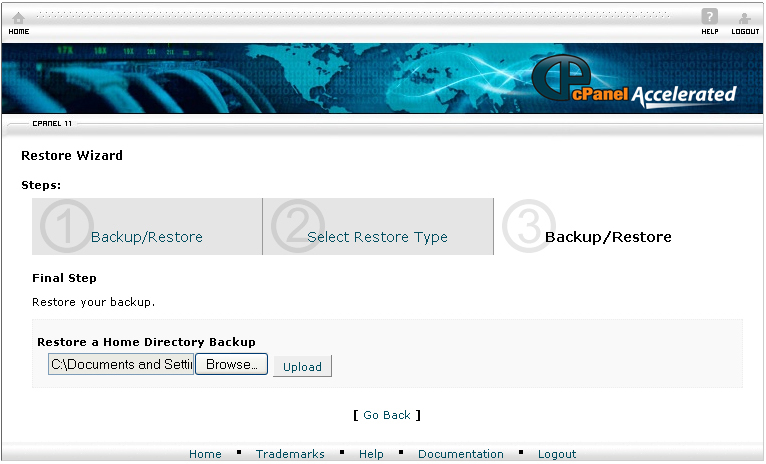 Click on the Generate Backup button. 7. You will receive an email notification once the backup is completed. 3. 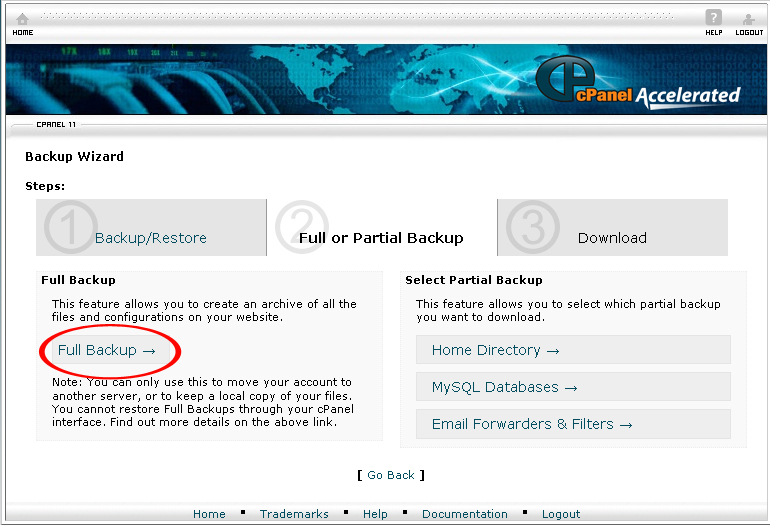 Under Select Partial Backup, choose whether you want to perform a partial backup on the home directory, MySQL database, or email forwarders. 4. 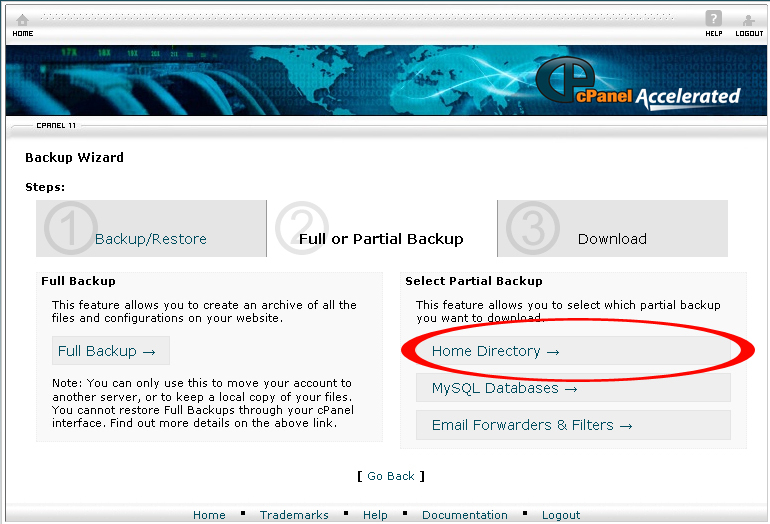 If you want to perform a partial backup on the home directory, click Home Directory. 5. 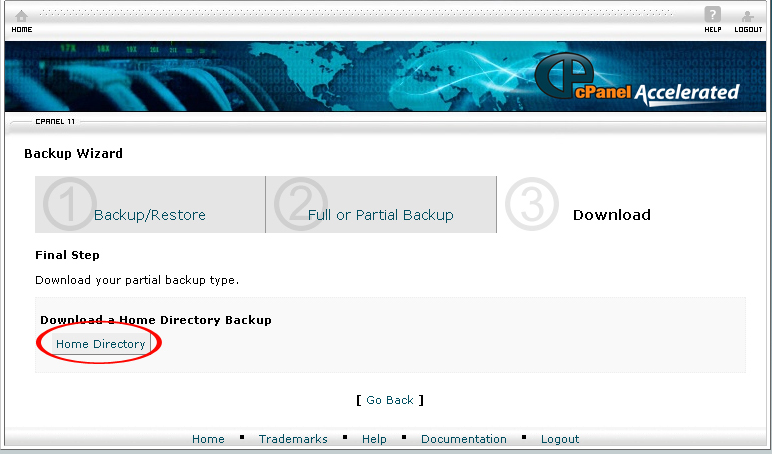 Click on the Home Directory button to download the partial backup to your computer. 6. 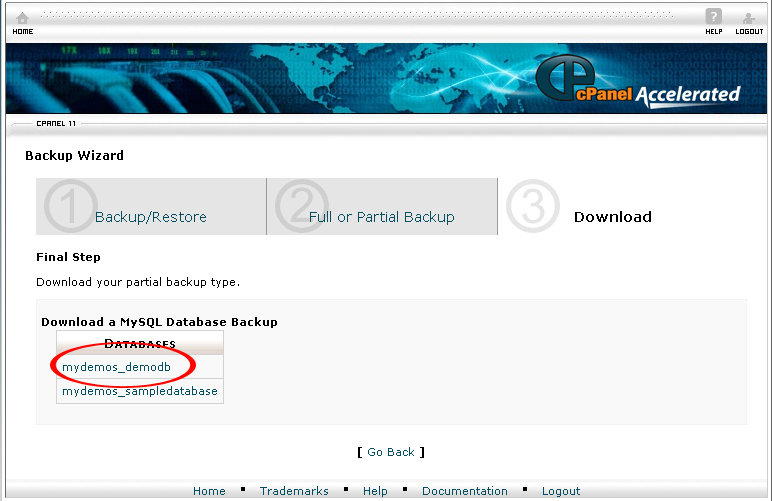 If you want to perform a partial backup on the MySQL Database, click MySQL Database. 8. 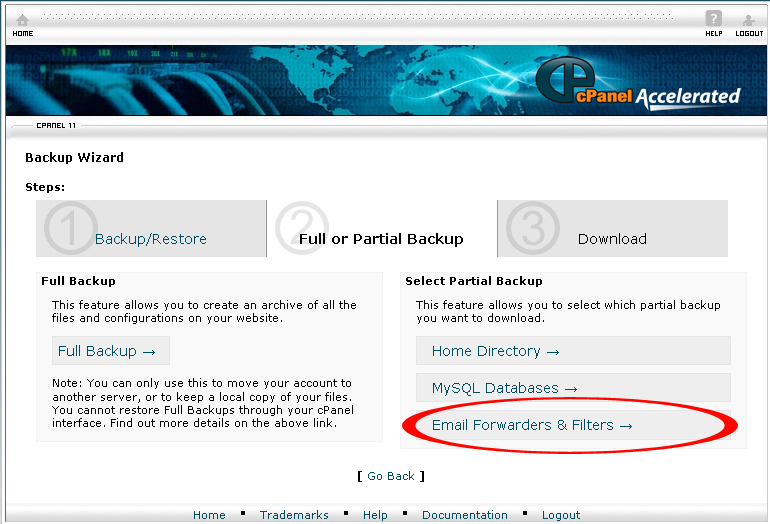 If you want to perform a partial backup on the email forwarders or filters, click Email Forwarders & Filters. 9. 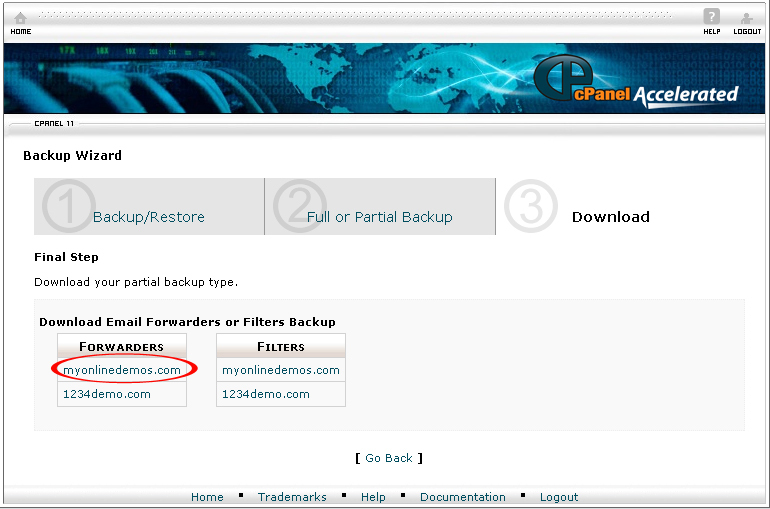 Under Forwarders or Filters, click on the link of the appropriate forwarders or filters to download it to your computer. 3. Select the type of feature you want to restore. If you want to restore the home directory, click the Home Directory. 4. 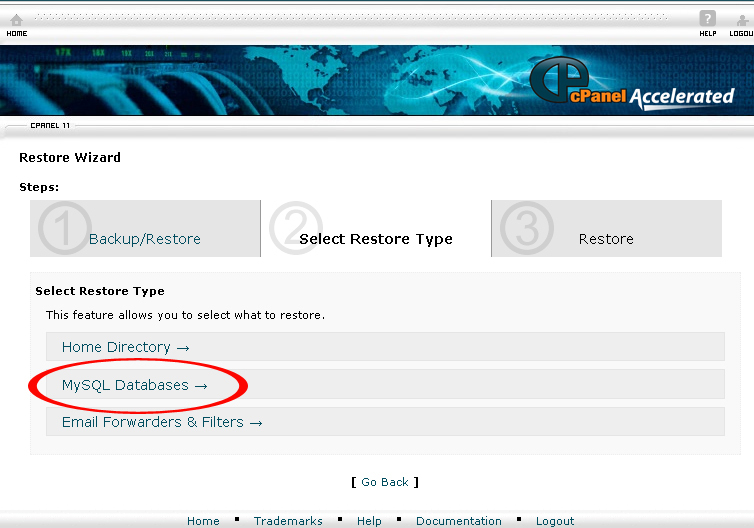 If you want to restore a MySQL database, click the MySQL databases. 5. If you want to restore email forwarders & Filter, click the Email Forwarders & Filters. 6. Select the zipped file from your computer. 7. When you are done, click on the Upload button. 8. You will receive an email notification once the backup is completed. Administrators can exclude specific files from the backup by uploading a simple configuration file to your directory on the server.